Since returning to the UK I’ve had an opportunity consider how the trip’s experiences can be of benefit to the management of inshore fisheries on the South Coast of England. The exchange provided a great opportunity to meet a range of people who have an interest in Californian fisheries, from the fishermen themselves to conservationists, researchers and scientists who work with the industry. We were particularly fortunate to be hosted by Kate Kauer and her colleagues at the Nature Conservancy for the majority of our trip. It’s probably not surprising to learn that the Californian fisheries operate on a much larger scale than anything I’ve experienced in the UK. 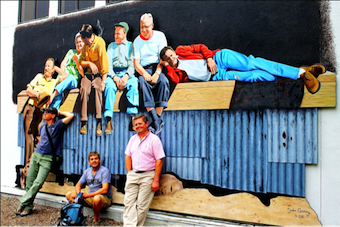 In fact, just about everything in the US was supersized; the boats, cars, wildlife, landscape, even the food portions! 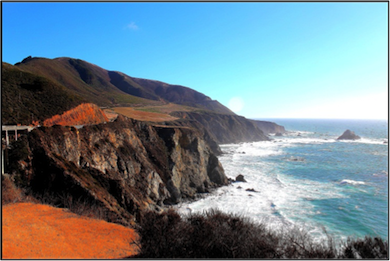 With such a dramatic coastline plunging almost immediately to depths of over 1000ft and exclusive access to 200nm of ocean to the west, an onlooker may wonder whether there are any similarities at all between Californian fisheries and Lyme Bay. In both California and Lyme Bay a significant proportion of economically and ecologically important fishing grounds have been designated as marine protected areas in recent years. In both cases these marine protected areas have been protected through the introduction of legislation, severely impacting local fishing fleets. However, in both areas the local fishing fleets have adapted their practices and through ingenuity and hard-work they are finding new ways of making a living through fishing in and around these marine protected areas. In response to the closure of fishing grounds and the introduction of tighter quotas for overfished species the Nature Conservancy, a conservation charity, and affected fishermen developed the Central Coast ground fish project. Through this project the Nature Conservancy purchased trawling permits and then leased the permits back to fishermen with the condition that the fishermen worked to enhance the sustainability of their fishing practices. 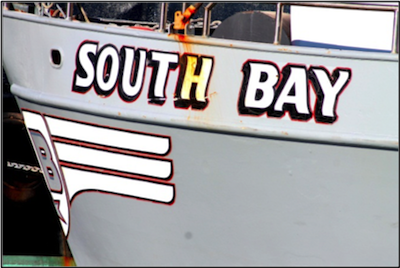 In Morro Bay we met Rob Seitz, a trawl fisherman who has leased a Nature Conservancy trawl permit. Rob told us how it is important to avoid catching over fished species as, under the zero discards legislation, a large bycatch could prematurely end his and other fishermen’s seasons. To help Rob and other fishermen record and communicate the most sensate areas for over fished species, the Nature Conservancy has developed the e-catch application. E-catch allows fishermen to record their trawl tracks and the quantities and species caught in each haul. If the fisherman so desires, the over fished species information is then shared in real time with other trawlers so that they can understand the areas to avoid. The opportunities presented to fishermen and fisheries managers through real time recording of data are exciting. In Lyme Bay the group is exploring the possibility of gathering detailed catch data through the use of a specially designed app as part of a fully documented fisheries project. It is hoped that the information gathered, together with detailed vessel tracks, will provide an understanding of low impact fishing methods and the sustainability of fish stocks within the marine protected area. 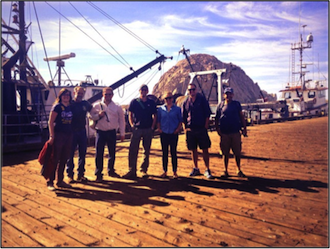 Whilst in Morro Bay we met representatives from the Morro Bay community quota fund, including Jeremiah O’Brien. Jeremiah is a fisherman of over thirty years and has dived for scallops, abalone and urchins and now trolls for albacore tuna. Jeremiah and Andrea Lueker, the community quota fund Executive Director, spoke about their concern for new and young entrants to the fishing industry, caused by the high value of fishing permits. The Lyme Bay Fisheries and Conservation Reserve has, since it was established, expressed a wish for the fisheries to remain open for all to access, avoiding the permitting and limiting of access to the reserve for fishermen. Having heard about the concerns of the Morro Bay community it is clear to me that if the small fishing ports within Lyme Bay are to survive and thrive then it’s important that new and old fishermen alike can access the fisheries on their doorstep. As well as telling us about the community quota fund, Jeremiah gave a fantastic tour of the harbour and the facilities available to the fishermen. Morro Bay had the feeling of a true fishing town, where fishing is the main industry for the town and so many people in the community are involved in one way or another with fishing. Jeremiah spoke about how important it was for the fishing industry to demonstrate its socio-economic value, money brought to the local economy through largely sustainable and environmentally considerate fishing techniques. It was clear that Jeremiah and other fishing champions in California were having a positive effect as my general impression was that the general public appreciated the value of their local fishing fleet. Fishermen seemed to be admired and fishing communities valued and as a result their facilities and infrastructure on the shore, from ice-machines to storage and fish handing facilities, enabled them to maximise the value and therefore profit for their catch. The experience gained through the exchange has demonstrated that fisheries managers and conservationists can work with the fishing industry to support sustainable fisheries and a healthy marine environment. 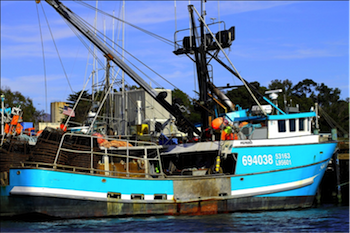 The Central Coast ground fish project appears to have strengthened the fisherman’s natural instinct of stewardship of the oceans, providing an opportunity for the industry to fish sustainably for profit. The collaborative and innovative use of technology has maximised opportunities for fishermen who operate within heavily legislated fisheries. Despite the difference in habitats, species and scale of fisheries this exchange has demonstrated that surprisingly close similarities exist with the Lyme Bay Fisheries and Conservation Reserve and it is important that we draw upon our experiences to support the continued sustainable fishing of Lyme Bay. This entry was posted in Exchange blog, GAP2 General, Homepage News, Lyme-Morro Blog, News and tagged California, collaboration, e-catch, GAP2 exchange, Lyme Bay, Morro Bay, real time data. Bookmark the permalink.